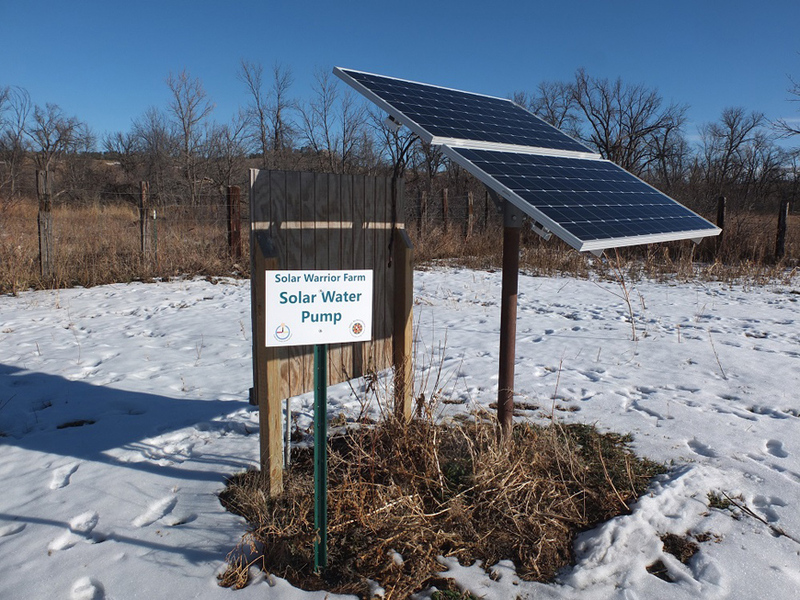 It was on our Global Initiative trip to South Dakota last winter while visiting the Pine Ridge Native American Reservation, which provided the proper perspective to witness off-the-grid power and solar powered generators in a whole new light. Better put, it is settings such as these that are the ideal proving grounds where solar generators and all other forms of renewable energy technology meet, to be fully showcased in all of their glory. There's an undeniable, natural "aha moment" that occurs when witnessing a people so forever tied to Mother Earth, such as the Lakota Sioux people, there harnessing the power of the sun out on the Plains while powering the same universal devices that we all do. It's just only that much more educational when done by those that exhibit a deep understanding and respect for this brilliant power source. Of course being in tune with nature is not limited exclusively to Native Americans, we can all experience it. Whether camping, boating, barbequing or caught in a natural disaster or blackout, solar generators are a wonderful ally to us all. 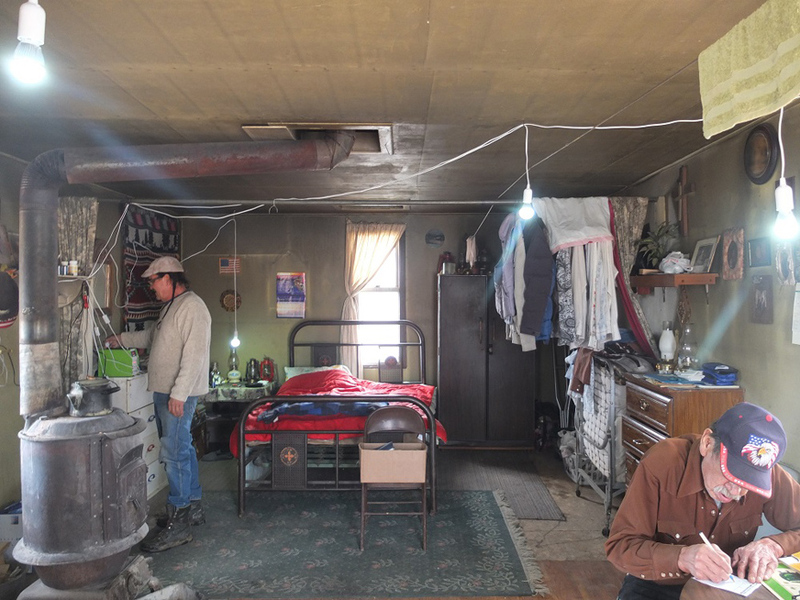 But when born into living circumstances in which utility electrical power is not affordable, available or just sometimes available, off-the-grid portable power is really put to the test. Part of this test consists of being in sync with the movements of the sun as well as being mindful to exercise the most energy efficient practices to optimize the energy that is harnessed. It also inspires the people not to only be limited to solar power, but to also seek out and begin to master all the many other sustainable living practices that Mother Earth has laid out right in front of us. 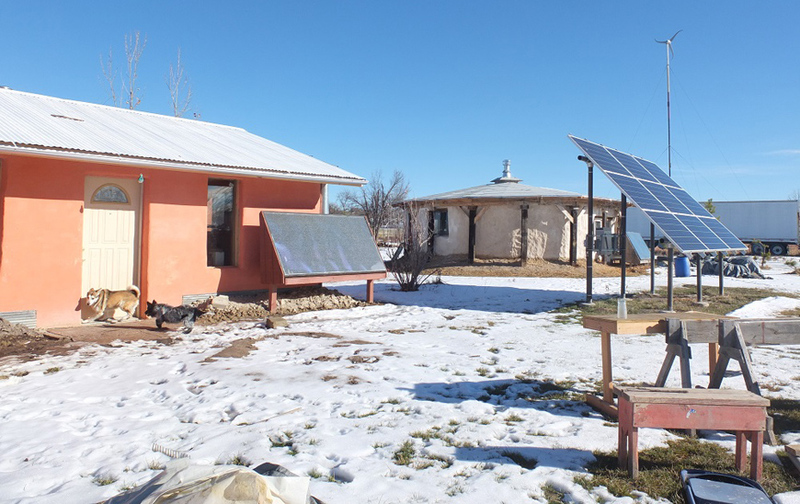 In addition to the Solaaron "solar generators" we provided, there were already countless solar heaters produced right there at the Red Cloud Renewable Energy Center, as well as wind generators, sustainable building blocks and insulation, sustainable farming and countless other solar and renewable applications in full swing, all too many to name! So many lessons were there for me to take away. Solar Generators are an ideal portable solar power tool for all seasons. And by using smart and respectful energy practices, one can get so much more out of them. It became clear that a 100% renewable model is possible. And even though I already knew this to be true, it was this journey and these people who along with a desire, understanding and vision, coupled by a sort of forced independence from the Utility Companies, were able to put on a real life "show and tell" on how we all can plug back into Mother Nature, and live sustainably.